FPC Store - T-shirts, Blu-ray Discs, Memberships and More! Exclusive FPC Key West 25th Anniversary Tote with embroidered logo. Never miss a day of the high-speed action and beautiful FPC Girls that we have all come to love throughout the 25 year history of Florida Powerboat Club. Showcasing a new action shot each month, you will see a variety of different style boats from various manufacturers as well as a monthly feature of some of your favorite FPC girls! Club T-shirt in your choice of colors. Powerboating Video of your choice (dozens to choose). One year of Powerboating in Paradise Magazine. 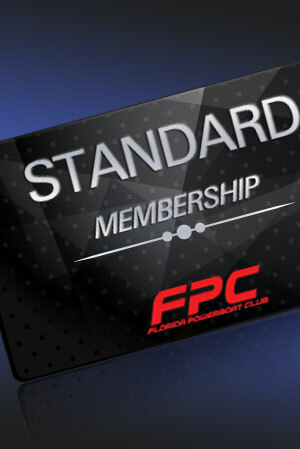 Your membership to FPC begins as soon as payment is received. Once payment is complete, you will receive an email with downloadable membership form and submission instructions. Pricing shown is for USA memberships only. International memberships are also available. Select your location below to reflect current price for membership. Pricing shown is for USA memberships only. International commercial memberships may also be available. Alternate rates apply. Call the club office for info or contact: Stu@flpowerboat.com. 365 day annual membership program -commences immediately with purchase. 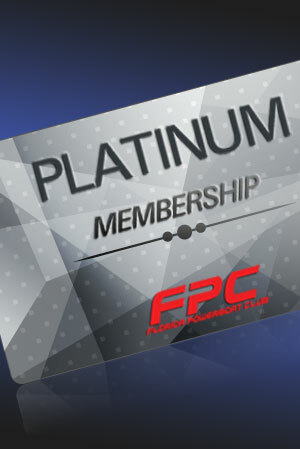 $100 Certificate towards any “Feature Sponsor” program for any FPC event that occurs during the membership period. Company Listing on FPC website (flpowerboat.com) with address, contact information and a direct link. Opportunity to provide retail promotions and discounts through FPC events.